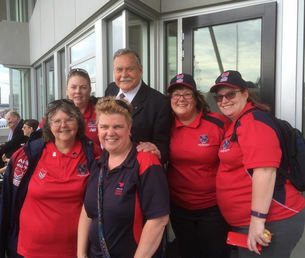 A new park in the Docklands area, the Ron Barassi Senior Park, was opened by Ron Barassi Junior in October 2015. The Demon Army was called upon to make a runthrough and hoist it up for the official opening. 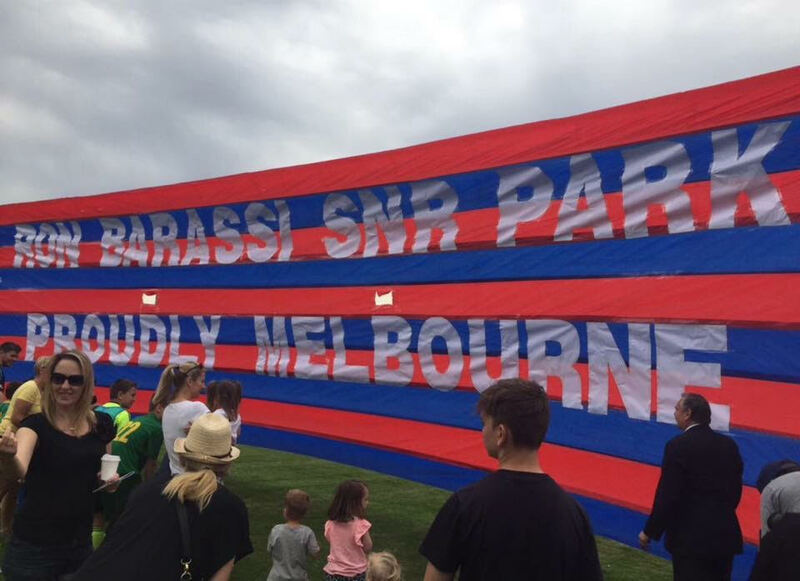 It’s been some time since Ron has broken through a banner and it showed. There were plenty on hand to help him out and make a mess of red and blue crepe. 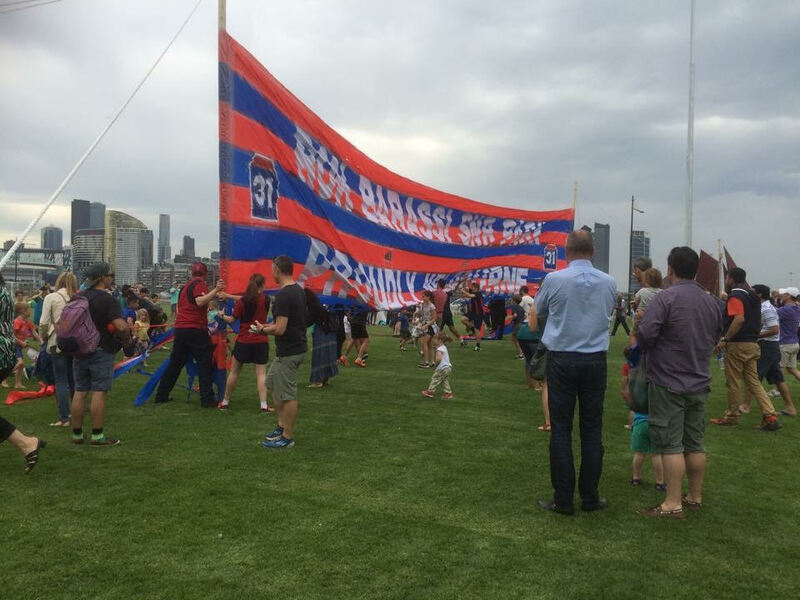 ​The Ron Barassi Sen Park is at the end of Docklands Drive, practically under the Bolte Bridge. It includes a sports field, a community pavilion, BBQ facilities, a walking circuit and a children’s playground.